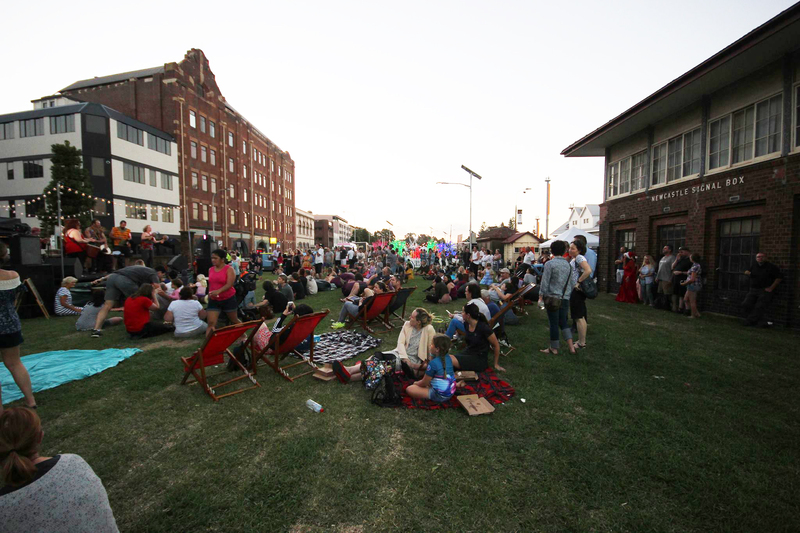 Market St Lawn brought together thousands of Novocastrians to enjoy the activation of a brand-new community space strengthening the connection of the city to the harbour through a family friendly night time fiesta. 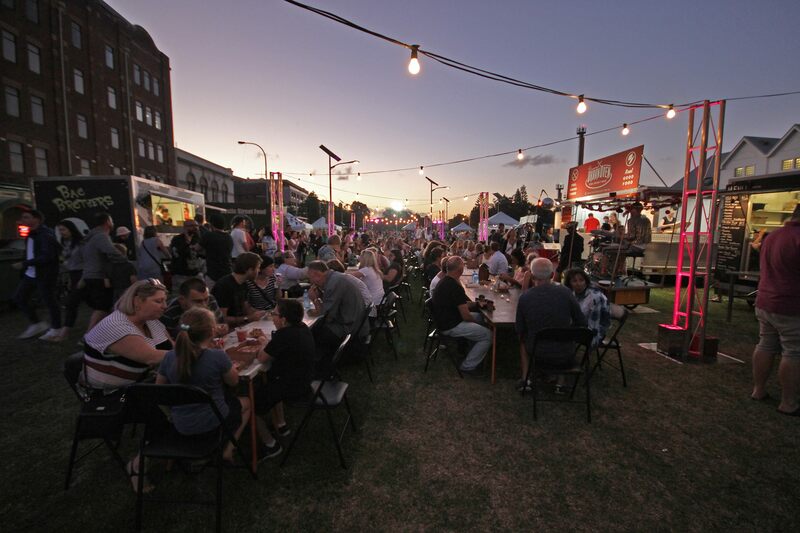 Through the Revitalising Newcastle program, Urban Growth wanted to reinvent the former heavy rail corridor, activating the space for the Newcastle community to showcase local ideas and talent; pop-up attractions, music, food and markets. 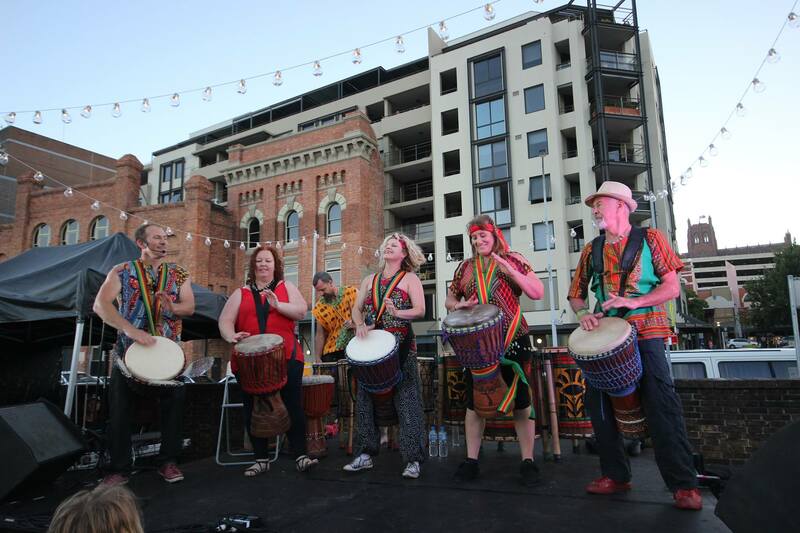 The event aimed to bring the community together to celebrate new beginnings in Newcastle, through a cultural evening with street food, roving performers and live entertainment. 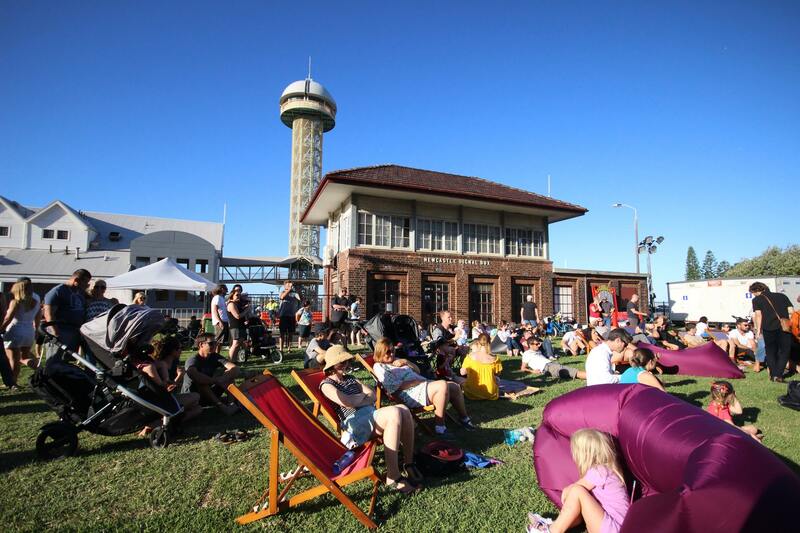 The event was an historical moment in Newcastle’s transformation and evolution; signifying the first time in over a century that the community had a chance to use the space for something other than rail infrastructure. 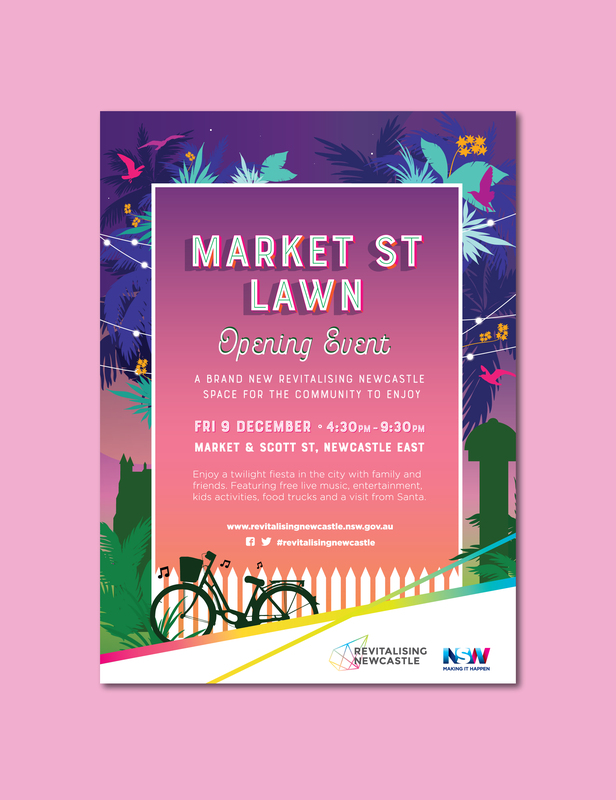 As the design and marketing team, our brief was to create the promotional material for Market St Lawn that was in line with the newly launched Revitalising Newcastle branding. 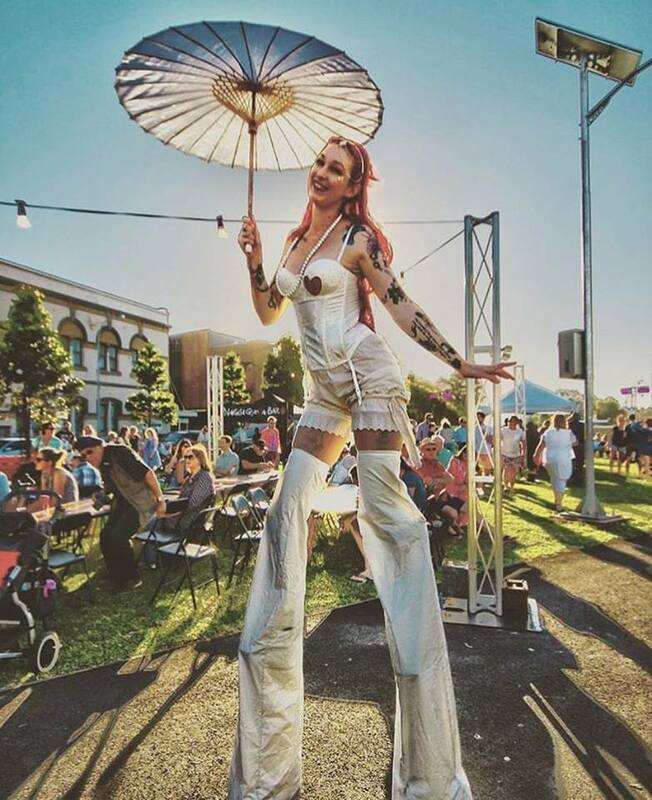 We focused on creating a visual that was contemporary, creative and welcoming and reiterated the idea of connecting the city and the harbour. 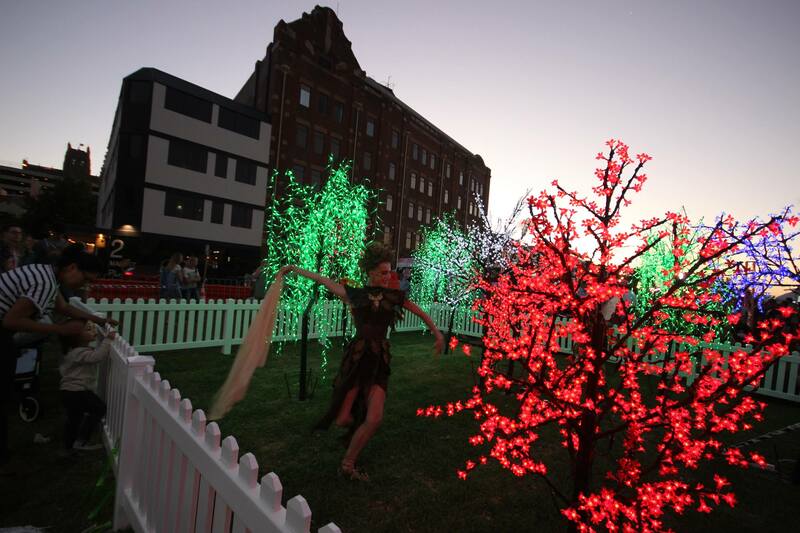 The vibe was reminiscent of New York Central Park; a green space in the heart of the city. 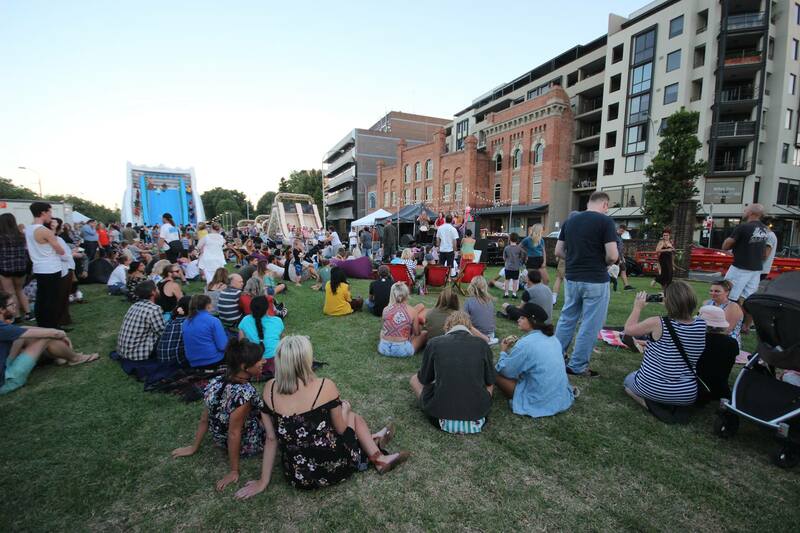 The emphasis was on the freshly grown ‘lawn’; the idea of a patch of nature having a place in the city and reconnecting that city to its natural environment. 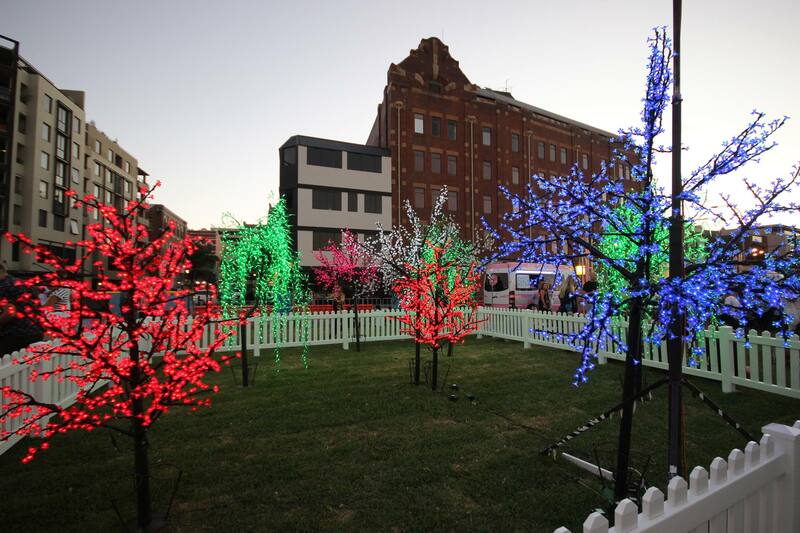 The final design featured a jungle in the heart of the city. 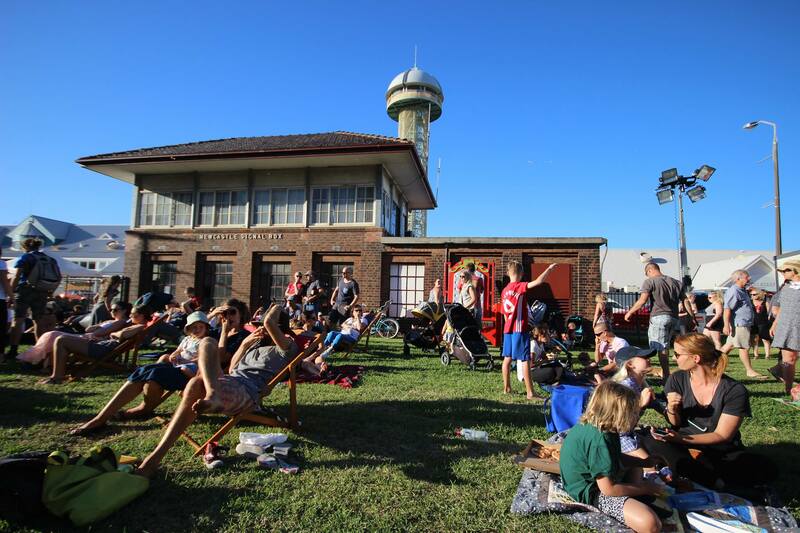 Newcastle’s iconic buildings starred alongside vibrant flora and fauna, set to a backdrop of twilight-inspired hues. 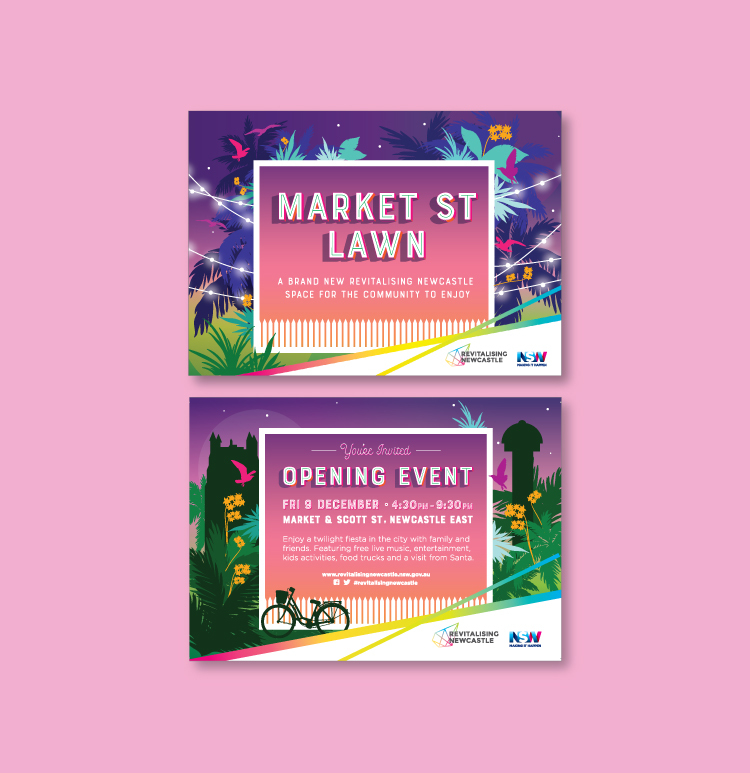 The colour scheme was carefully selected to reflect the timing of the event and emphasise the idea of a “twilight fiesta”, the resulting gradient gradually changing from day to night. 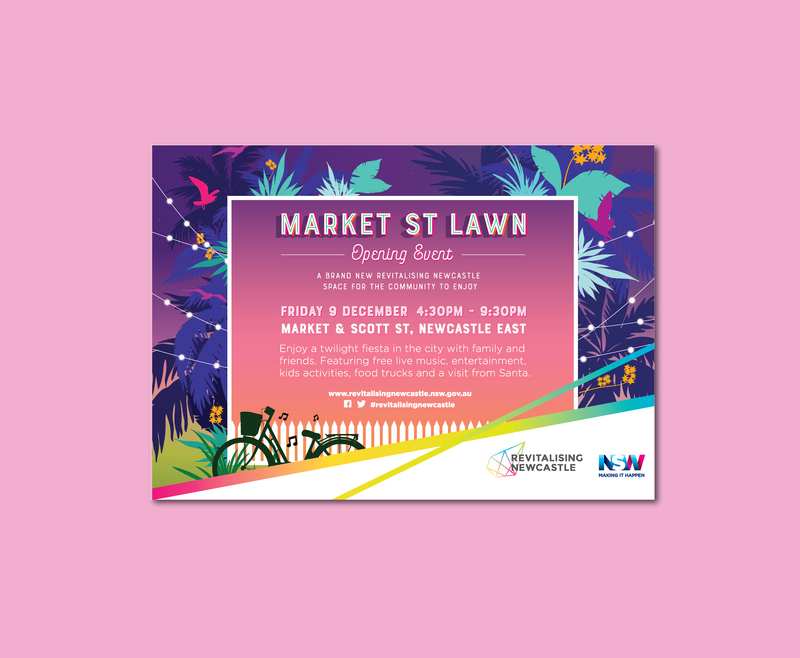 The branding was applied to physical signage at the site, drink tokens, print advertising, online advertising, social media and street posters that were scattered around the walls and poles of Newcastle, and postcards that were handed out to the local community.